As Poet Laureate during much of Queen Victoria's reign, Alfred Lord Tennyson's spellbinding poetry epitomized the Victorian age, and Selected Poems is edited with an introduction and notes by Christopher Ricks. 'Into the jaw of DeathInto the mouth of HellRode the six hundred'The works in this volume trace nearly sixty years in the literary career of one of the nineteenth century's greatest poets, and show the wide variety of poetic forms he mastered. This selection gives some of Tennyson's most famous works in full, including Maud, depicting a tragic love affair, and In Memoriam, a profound tribute to his dearest friend. Excerpts from Idylls of the King show a lifelong passion for Arthurian legend, also seen in the dream-like The Lady of Shalot and in Morte d'Arthur. Other works respond to contemporary events, such as Ode on the Death of the Duke of Wellington, written in Tennyson's official role as Poet Laureate, or the patriotic Charge of the Light Brigade, while Locksley Hall provides a Utopian vision of the future, and the late poem Crossing the Bar is a haunting meditation on his own mortality. In his introduction, Christopher Ricks discusses aspects of Tennyson's life and works, his revisions of his poems, and his friendship with Arthur Hallam. This edition also includes a chronology, further reading and notes. Alfred Lord Tennyson (1809-1892) was born at Somersby, Lincolnshire, the sixth of eleven children. His first important book, Poems, Chiefly Lyrical, was published in 1830, and was not a critical success, but his two volumes of Poems, 1842, which contain some of his finest work, established him as the leading poet of his generation. If you enjoyed Selected Poems, you might like William Wordsworth and Samuel Taylor Coleridge's Lyrical Ballads, also available in Penguin Classics. 'He had the finest ear of any English poet since Milton'T.S. EliotAs Poet Laureate during much of Queen Victoria's reign, Alfred Lord Tennyson's spellbinding poetry epitomized the Victorian age, and Selected Poems is edited with an introduction and notes by Christopher Ricks. 'Into the jaw of DeathInto the mouth of HellRode the six hundred'The works in this volume trace nearly sixty years in the literary career of one of the nineteenth century's greatest poets, and show the wide variety of poetic forms he mastered. 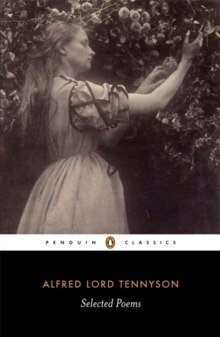 This selection gives some of Tennyson's most famous works in full, including Maud, depicting a tragic love affair, and In Memoriam, a profound tribute to his dearest friend.